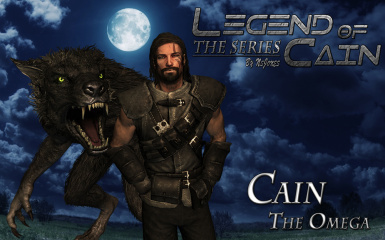 Since I am more oriented to making videos and drawing pictures then making mods and have one hell of a wild imagination, I decided to create a series of short cinematic videos about my Skyrim character - Cain the werewolf, and show his losing battle against the beast within. 2) Elementroar - Thanks for his help on the glowing eyes! A HUGE THANKS FOR THAT GOPHER!!! Take note that I created my own story here that may conflict with the lore in the games! Also, the video annotations from youtube may not display properly on these small screens, so it is RECOMMENDED to watch directly on youtube by following the links! Watch the episode in HD 1080p quality on youtube! This is the pilot episode of the upcoming Legend of Cain series octalogy, the series will use a cinematic ENB to provide realism and a cinematic feel, and I will make sure no ''gameplay'' is visible, to keep it as real as posible! 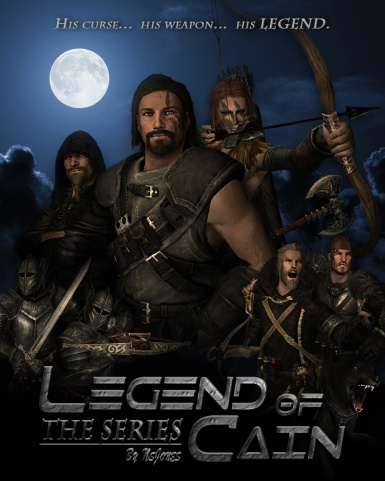 The episode takes place 29 days after the pilot, on the day before the night of the full moon, and shows how lycanthropy is equal parts gift and a curse. 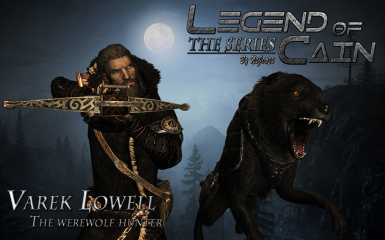 Cain discovers he can use his inner wolf powers in human form to accomplish extraordinary feats of speed and agility, but soon also realises he will be a prime target of the Silver Hand werewolf hunters. Being a new breed of werewolf ( unlike the Companions), Cain discovers the inner beast can take control of his body if he is injured or agitated, but when it does it will eliminate any threat before fading away, and he can do nothing to stop it - he is not even conscious. Since this episode takes place a month after the bite, Cain also experiences his Blood Moon ( his first full moon), which marks his first and most painful transformation into a wolf. A month has passed since Cain has had his blood moon ( his first full moon), and ever since, he has been haunted by monstrous visions of his time in wolf form, preventing him from restful sleep. Taking up to drinking to relieve some of the mental stress, he has wandered into an old tavern - completely unaware it's the night of the full moon. Nearly three months have passed since Cain's first full moon, and Cain has been struggling ever since to keep the beast under control, using all his might. In order to avoid harming anyone, Cain has distanced himself from other people, and lives in the woods as a hunter - traveling to villages rarely and only briefly to buy necessary supplies. 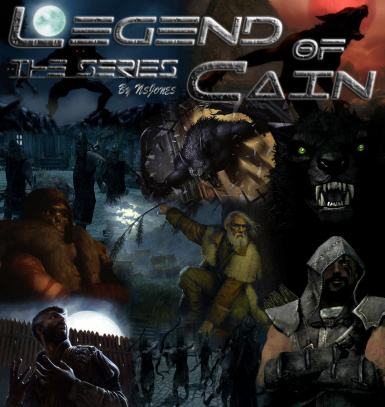 Spending most of his time keeping the beast within under control, Cain has discovered a way to use his curse as a tool - using his enhanced speed, senses and reflexes to aid him in hunting, he has also discovered that wolves treat him with respect. Before the series itself began I have created a sort of ''sneak-peek'' trilogy of short videos that shows parts of Cain's life. 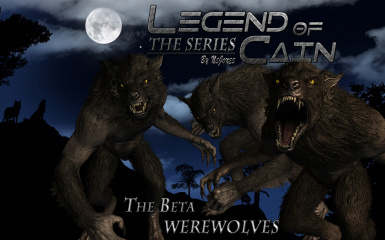 However NOTE that the story did not exist at the time, the ENB enhancements were not made yet, the custom werewolf textures were not used, and my skills in sony vegas and the in-game console were very poor! THE EVENT TRILOGY IS THEREFORE CONSIDERED TO BE NON-CANON TO THE SERIES! Watch the episode in better quality on youtube! Watch the episode in HD 1080p resolution on youtube! 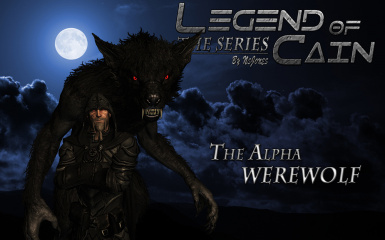 - After the eight-part series is finished, there may be a three-part ORIGINS trilogy, each episode explaining in detail the backstory of three major characters - Cain, Varek Lowell and the Alpha. - Feel free to leave comments if you like the series and if you have questions, and of course if you have any good ideas on how the story should continue!